Honda PUYO is a Japanese word that embodies the tactile traits of this unique car. Honda PUYO is meant to convey all that is warm and friendly, and put a smile on the face of users and pedestrians. 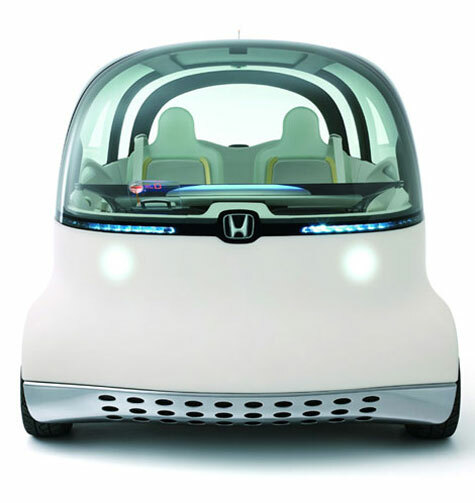 The PUYO, an environmentally friendly concept car designed by Honda, is just as green as it is, well, cute. The concept vehicle is ultra-efficient, powered by hydrogen fuel cell technology, and a unique aesthetic to boot. The Honda PUYO will officially be unveiled at the Tokyo Motor Show at the end of the month. Its shape was designed to be both as minimalist and as efficient as possible. Indeed, by far the most striking feature of this vehicle is the rather odd ’seamless soft box’ shape. 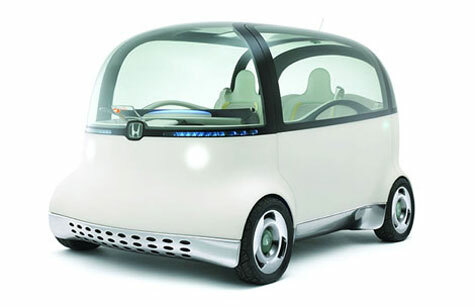 The body of the vehicle is made of soft materials, which Honda refers to as a ‘gel body’. This body is meant to promote greater real-world safety. Furthermore, the gel body is of a luminescent nature, it lights up! Honda PUYO represents a new idea in mobility that brings together the principals of clean, safe and fun all into one environmentally-responsible, people-friendly, yet minimalist design. The concept has a small frame, is ultra-efficient and is powered by hydrogen fuel cell technology. One of the key goals of the project was to create a cornerless car that was kind to both people and the environment. The ‘Seamless Soft Box’ is welcoming and inviting to look at, but also makes the most of the box-shaped design’s spaciousness, managing to accommodate four people within its tiny frame. Developed to have a ‘silky feel’, the Honda PUYO’s interior is designed to be inviting and provide a people-friendly cabin with a feeling of space emphasised by transparent materials. Features include an instrument panel monitor, elastic-like controls made from cloth that rise up when the vehicle starts and luminous fluid level displays.